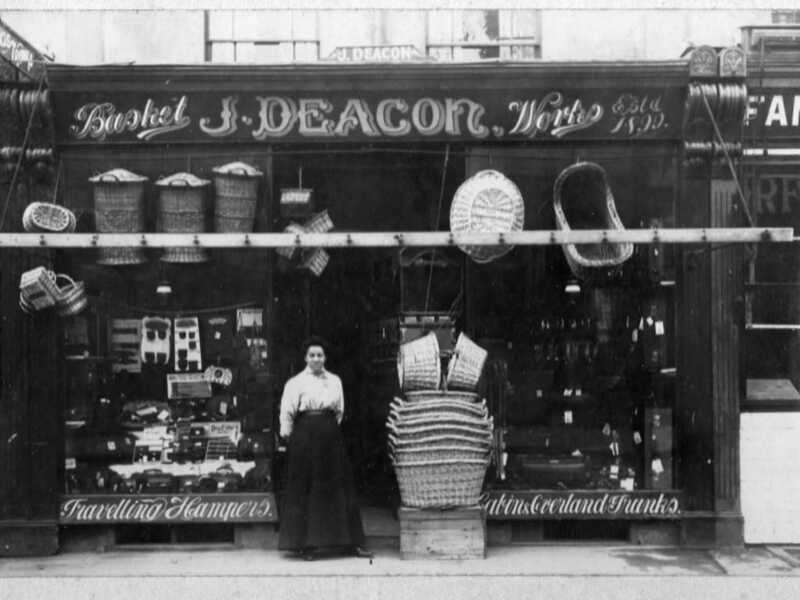 The photograph below shows the Basket shop at 224 Gloucester Road. The shop belonged to John Deacon. His first wife, Minnie, is standing in front of the shop. Minnie died in January 1923 at 214 Gloucester Road and John Deacon went home to Sherborne to find another wife! He married Beatrice who was a teacher at Sherborne Council School and returned to Bristol. John and Beatrice Deacon had one child, Kitty Hearle, nee Deacon, 27.05.1926- 27.05.2012. The family lived in Monk Road. John Deacon’s father, T. Deacon, was a basket and chair maker in Sherborne, so this is how John Deacon would have learnt his trade. When John Deacon first came to Bristol he lived in a cottage near to the Co-op (formerly Somerfields / Premier Cinema). He then moved to the other side of Gloucester Road to a shop near to the dentist’s near the junction at Ashley Down. From there John Deacon moved to 224 Gloucester Road. Finally, he moved to a shop on the corner of Gloucester Road and Bishop Road. John Deacon made a lot of basketware for Paxmans Laundry and the butchers, Mr. Loney, 226 Gloucester Road (later Mr. Stutt). The Chinese Laundry at 222 Gloucester Road was run by Charlie (Chinese Charlie) before the Pangs. Kathleen Pain, a great friend of Kitty Hearle, told me that John Deacon was very good to the Pangs, helping them with their finances. This was a surprise to me as my mother told me that Kitty rushed round to our home in Egerton Road for help from my uncle, Percy Thornhill, a chartered accountant. Her father, John Deacon, was in trouble and might even go to prison as he hadn’t paid his taxes. Kathleen Pain told me that John Deacon didn’t believe in paying tax! 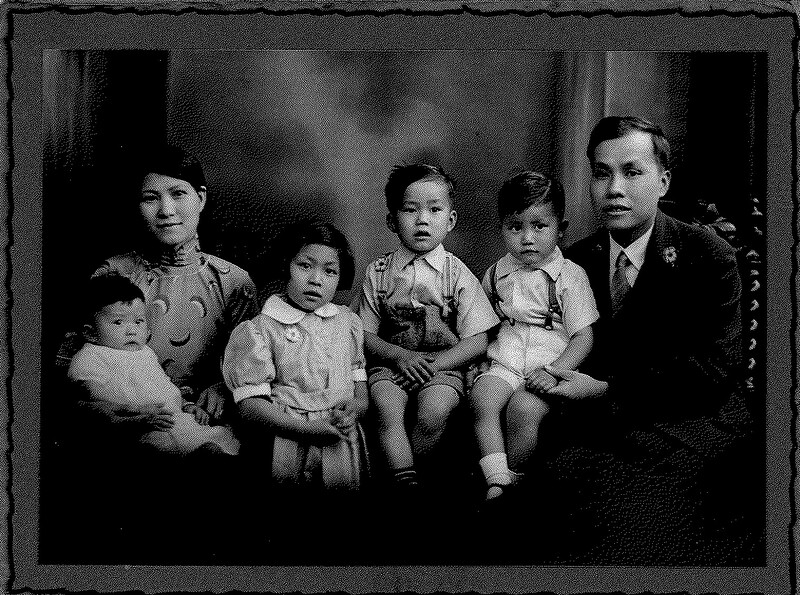 When I visited an ex-neighbour and showed her the photograph of the Pangs she immediately recognised the daughter in the Pang photograph, whom she had been to school with, and had seen her recently.